I trust you will forgive me for lumping the last three books of Thucydides‘ History together in one post, but I have my reasons. Book VI is the true climax of the narrative, in which the Athenians mount a massive expedition to Sicily and suffer a loss of men, treasure, ships, and morale from which they can never recover. Everything after is mere denouement, even though the war lasts for another decade. In Book VII the war shifts to the Aegean and Athens manages to scrape together enough forces to win a few victories, especially after the fickle Alcibiades switches back to their side, but the final outcome is never in doubt. By the unfinished Book VIII the Persians have come in on the Spartan side, Alcibiades is gone again, and it is obviously just a matter of time before the final defeat. Thucydides leaves off in mid sentence, leaving it to Xenophon to write about the end of the war. Maybe Thucydides’ health declined, or perhaps he was recalled to Athens and no longer needed a writing project to spend the empty hours of his exile. As a fellow writer, I suspect that, having laid out his main thesis and arguments, he became bored with the final chapters and put them off, never finishing. But what was this thesis that he was trying to prove? 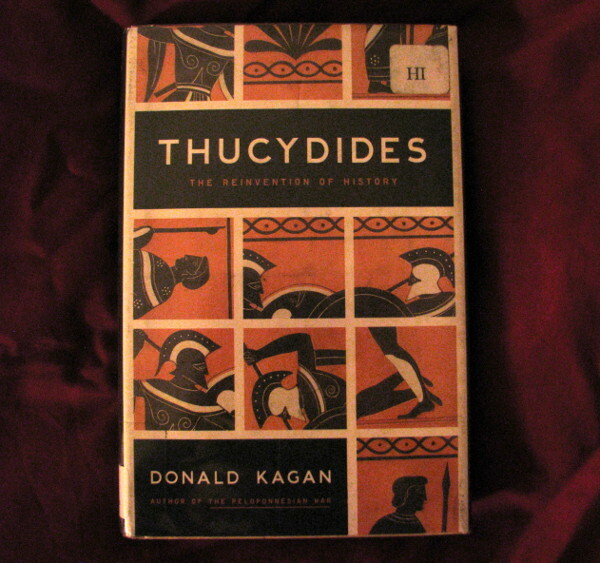 I just finished reading Donald Kagan’s book Thucydides: The Reinvention of History, which sheds some interesting light on the question. Kagan, one of the world’s foremost Thucydides scholars, argues that the “father of scientific history” was a revisionist who crafted the History to support his own platform. The narrative that Thucydides presents is that the war was inevitable but the Athenians had a strong chance of winning under the leadership of Pericles. After Pericles died in the plague, the democratic mob, urged on by demagogues like Cleon, went out of control and adopted a reckless policy, including the invasion of Sicily, which destroyed the empire. Thucydides presents this perspective so effectively that it became the dominant interpretation of the Peloponnesian war for 2400 years. In Kagan’s book, however, he explains how, while Thucydides clearly believed this interpretation, there is significant evidence within his own work to question whether things were that simple. The war may or may not have been inevitable eventually, but Pericles was the one who pushed Athens to go to war when they did. His defensive policy was already being shown to be ineffective by the time of his death. It was only after Cleon and others urged Athens into a more aggressive strategy that they began making advances. Cleon himself, despite being hated by Thucydides, Aristophanes, and others, actually seems to have been fairly competent. Perhaps most importantly the invasion of Sicily, far from being a mad power grab by the mob, was a fairly reasonable plan which might have succeeded had it not been for the gross incompetence of Nicias. 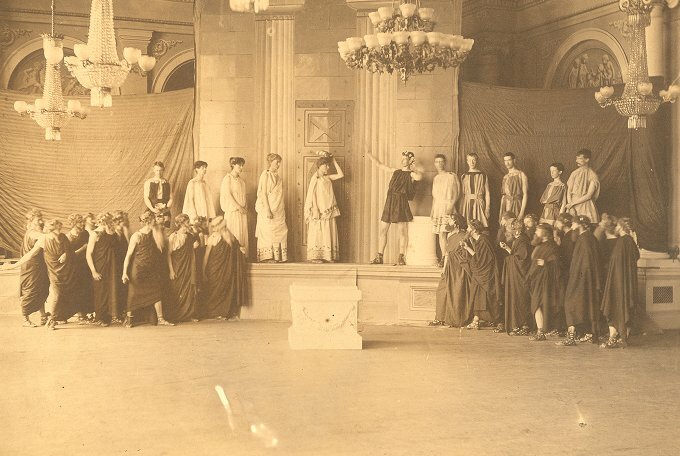 It was Nicias who, without actually meaning to, talked the assembly into a massive escalation of commitment in Sicily. It was Nicias who committed one tactical and logistic blunder after another in the Sicilian campaign. It was Nicias who waited too long to withdraw after it was obvious the campaign was lost, turning a strategic withdrawal into a disaster in which he lost his entire force and his own life. 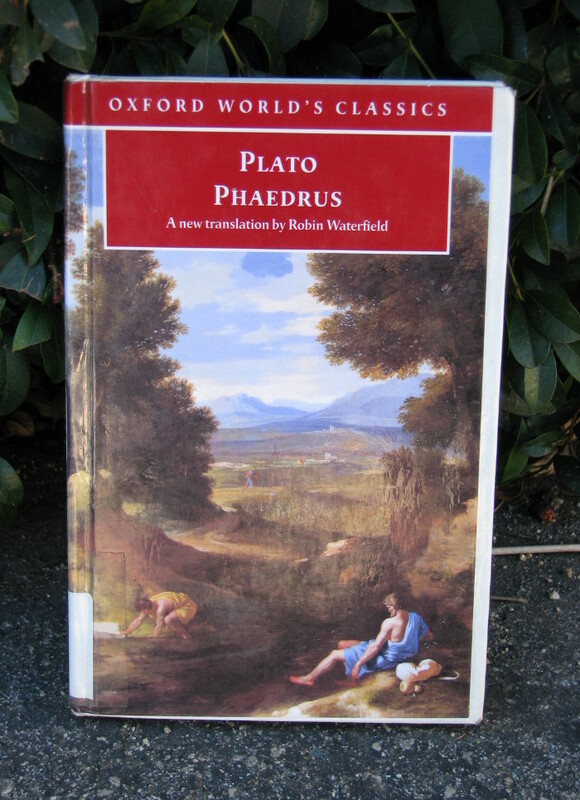 Thucydides liked and respected Pericles and Nicias but loathed Cleon and distrusted democracy. Thus, he structured the narrative to support his own bias, which probably went against the commonly held views of the day. Kagan points out that, despite having a strong viewpoint, Thucydides was true to his own stated methodology and did not deliberately withhold information. He wrote at a time when the war was still fresh in the minds of his readers and he could assume that they knew the major events, so he could emphasize the speeches and happenings that reinforced his own thesis. Whether this interpretation is true or not–and perhaps particularly if it is true, Thucydides remains one of the greatest and most influential historians of all time. Still, the issue reminds us, as readers of the Great Books, that every writer has their own agenda and their own biases, as does every reader, and we need to take them into account if we want to truly come to grips with these texts.